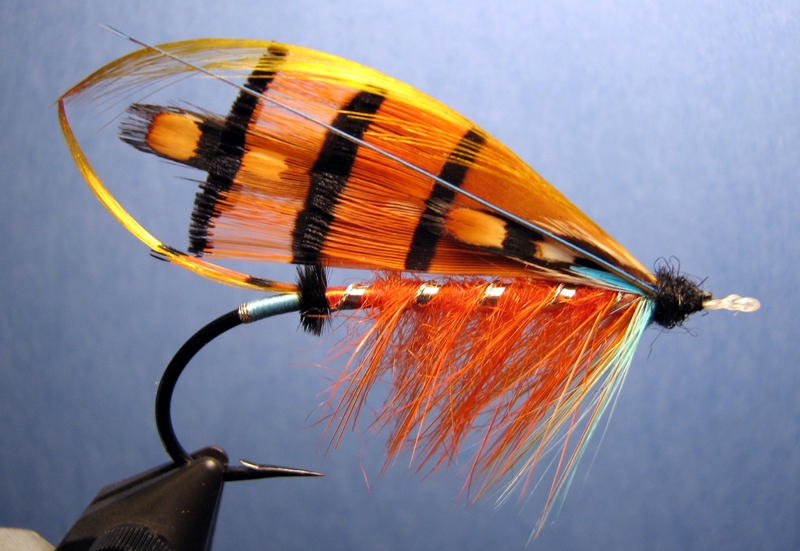 The Stevenson is one of James Wright’s colorful salmon patterns. He lived on the banks of the river Tweed and was a highly acclaimed fly tyer. Wright encouraged the gradual change in trend of fishing the Tweed with drab flies towards more complicated patterns in ever-brighter colors. When Wright designed the Stevenson, he was probably inspired by the old, colorful butterfly imitations like the Parson flies, as they too included a wing of vertical golden pheasant tippets. Other notable flies credited to Wright include the Black Ranger, Blue Ranger, Silver Doctor, Blue Doctor, Silver Grey, and the Thunder and Lightning. 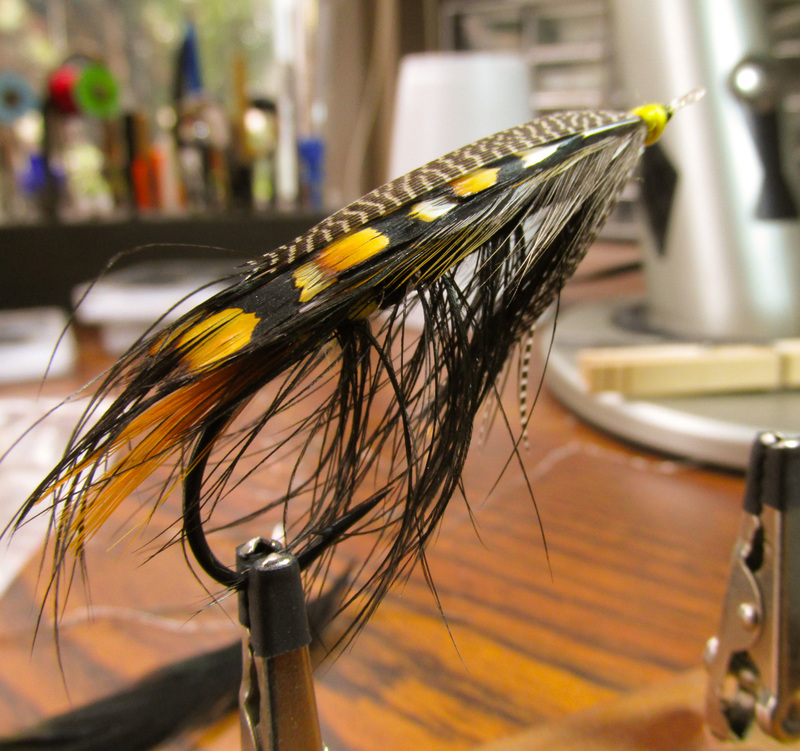 The Stevenson is a fly where the patterns from the old masters differ little with each other. The patterns of J.J. Hardy and J.H. Hale correspond in every detail with Kelson’s. Kelson considered the Stevenson to be a fly suitable for a wide range of famous salmon rivers, including the Tweed, Spey, and Tay. Placing a teal section over the wing and replacing the tippet fibers on the tail with a few strands of summer duck creates an alternate version of the Stevenson for the Wye and Lochy rivers. Dr. Pryce-Tannatt provides a pattern that differs only slightly from Kelson’s. His Stevenson has an Indian Crow in the tail instead of tippet fibers. Pryce-Tannatt also recommends the use of flat silver tinsel and silver twist for ribbing the body.